We’ve hosted a few lunging workshops over the past two months and it has been interesting to see what people look for in lunging, how they use it and what they believe it achieves. The use of the lunge ring (or longe ring/round pen, depending on which part of the world you live in) was not described by the old masters as such. Possibly the closest resemblance to a round pen, was work with a single pillar, invented by Antoine de Pluvinel (1555-1620). He understood the benefit of increasing the horse’s ability to bend in order to promote suppleness, balance and strength underneath a rider. Although François Baucher (1796–1873) is mostly known for his work with the release of the horse’s jaw in order to induce relaxation, as well as separating the aids, it is also likely that the use of a round pen originated from his history as a circus rider. Most of the masters who were involved in training royal horses or training for the cavalry, made use of meneges, also known as picaderos, instead. Picadero is not to be confused with “picador”, which is the Spanish term for the mounted partner to a matador in a bull-fighting ring. Picaderos or meneges are essentially square or rectangular arenas within which schooling is performed. Klaus Ferdinand Hempfling mentions the use of the picadero well – the horse is given the opportunity, at liberty, to move away from the handler by entering a corner, rather than being forced to keep moving as a circle encourages. The art of lunging seems to have been reduced to the purpose of building muscle quickly with the use of gadgets, as well as getting excess energy off the horse before a ride. The benefits of lunging however, are far-reaching and numerous. Much like riding, long lining, in-hand work, liberty and trick training, one can develop the skill of lunging in various ways and to various degrees. 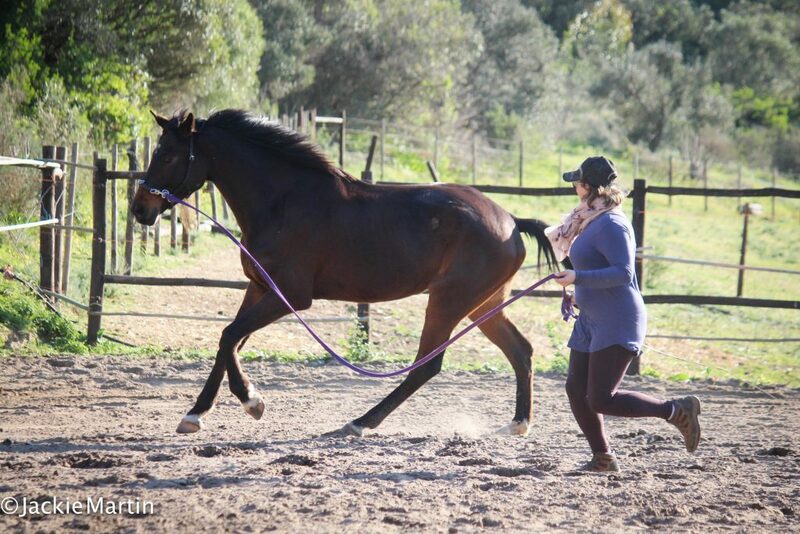 Aimless lunging is not only boring and sometimes bewildering for the horse, but it can also lead to damaging muscle development, joint, muscle, tendon and ligament strain, and a loss of connection with the handler. Similarly, the idea of “getting energy off” a horse by running him/her in monotonous circles, eventually leads to a fitter horse, which then defies the idea of “energy off” and just ends up frustrating the handler as much as before. One instance where a horse might benefit from the repetition of conventional lunging is where a horse is comforted by repetition. Many horses are consoled by being able to predict what comes next and don’t like surprises. 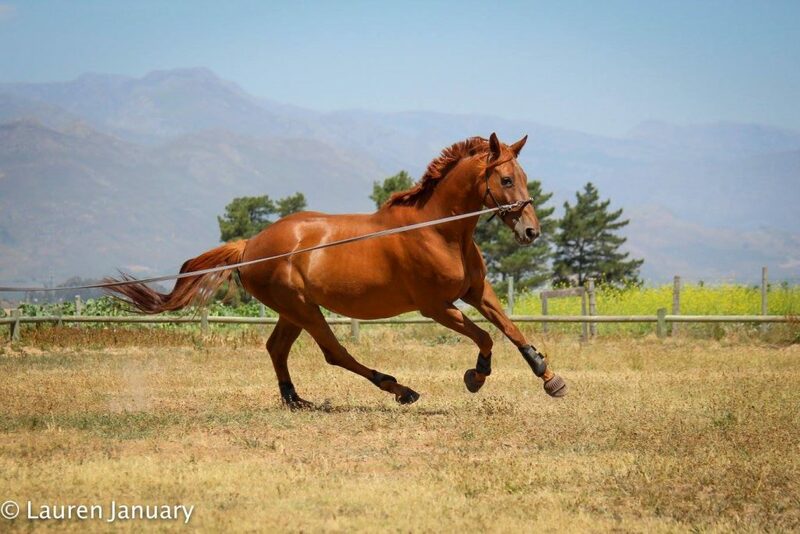 These specific horses relax more and more throughout a lunging session as the handler asks small questions and makes barely perceivable adjustments to the horse’s balance, rather than providing sharp mental stimulation. 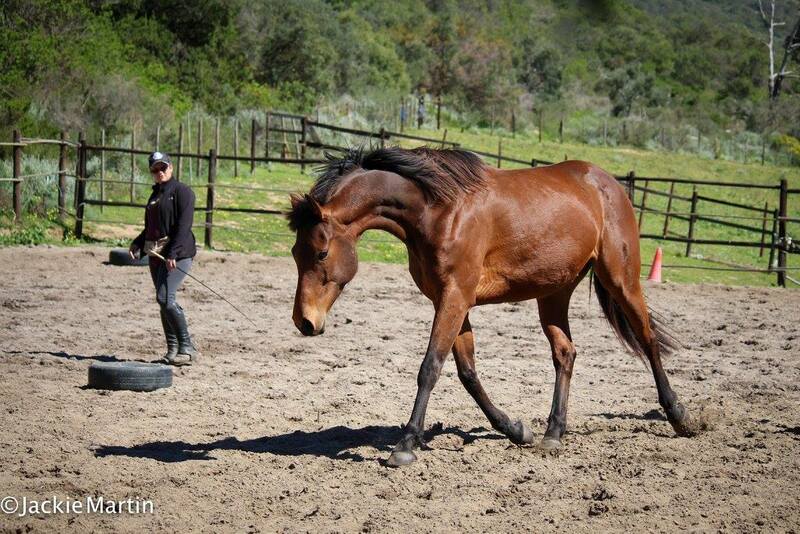 For the most part, however, lunging can be used to establish a language between horse and handler. 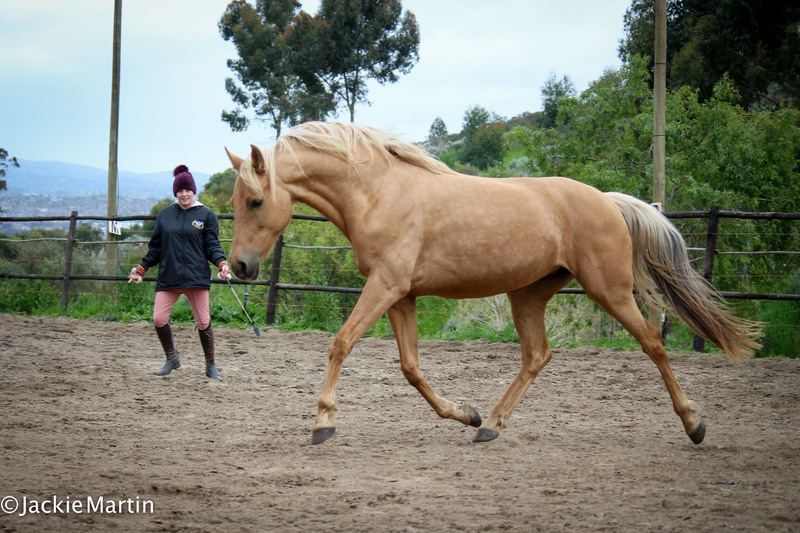 The handler can train themselves as to the subtle communication of the hands to the horse’s nose, their energy to the horse’s body and mind, and their whip, voice and position to either block, distract or encourage the horse. The tools used are not as important as the ability to use said tool, as well as the understanding of the reason for which the tool is used. That being said, if there is discernible stress, pain or harm caused to the horse, one must take a step back and evaluate whether the question is being asked in an understandable way, or whether the horse is not ready or capable of answering the question “correctly”. 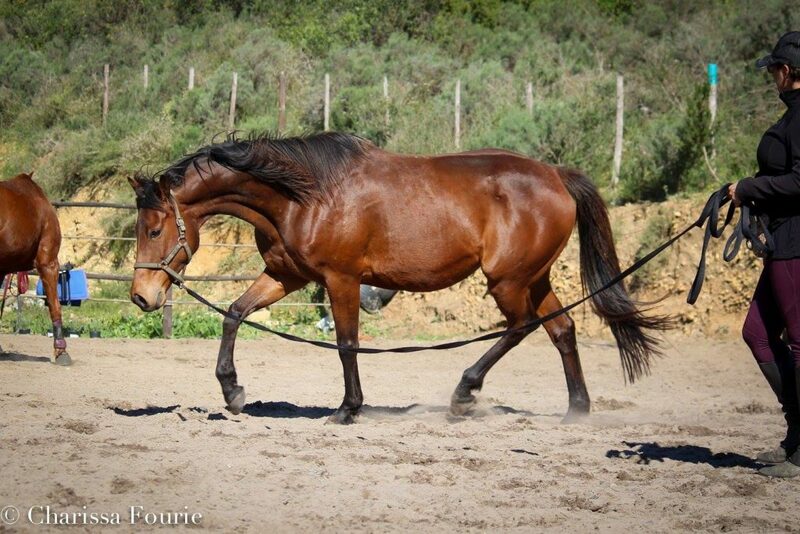 At the peak of lunging skill, a handler is able to bring out pride, self-carriage and self-expression in the horse, while still encouraging attentiveness, eagerness and harmony in the overall relationship between horse and handler. The more effective the connection and communication, the less tools can eventually be used in order to achieve the same results – this is the true mark of an empathic handler.